L.A. Brooklyn Bridge Boot Camp | High Protein, Low-Carb Breakfast Recipes: Pancakes & Cinnamon Rolls! var scss_share_image=""
High Protein, Low-Carb Breakfast Recipes: Pancakes & Cinnamon Rolls! Breakfast doesn’t offer too many options for those looking to keep a low-sugar diet with a decent amount of protein. Aside from egg sandwiches, omelets and fritattas, slow-cooking oatmeal with Greek yogurt and protein shakes, the options aren’t always obvious. Here are the best 3 high protein – low carb recipes I’ve come across in the past week. They’re the fat burning versions of the fat storing originals we all sometimes crave. I hope you enjoy them! In a bowl mix the coconut flour, cinnamon and stevia and then add the almond milk. Beat the egg whites until they’re fluffy and fold into the mix. Mix all ingredients until flour clumps are fully resolved. Heat a Teflon pan with a little bit of olive oil or spray olive oil into the pan. Spoon the batter mix into the pan forming little pancakes. 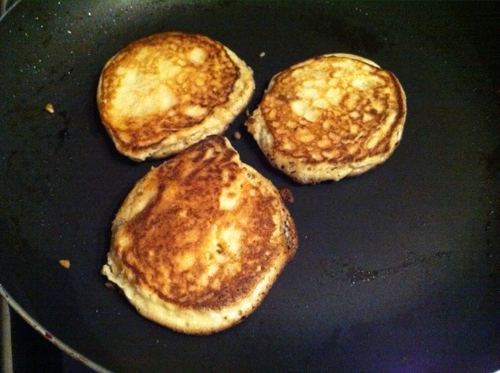 Flatten with a spatula and cook until golden brown on both sides. Combine the ingredients. Spray a rectangular pan with olive oil spray and then lay out the dough out in a rectangular pan in one long rectangle. Pre-heat the oven to 350 degrees. Bake the dough for 15 minutes or until golden brown. Whip the egg whites and then fold the Greek yogurt in. Add the additional ingredients. 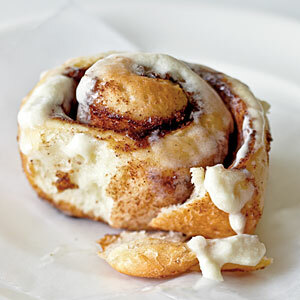 Once the dough is baked roll it up, cut it into bite-sized pieces and spread the frosting on top. 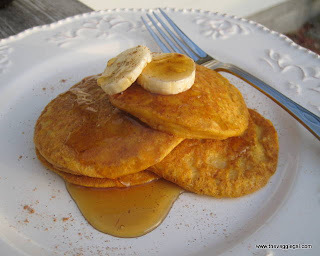 Since coconut flour is grain-free, does that mean the Cinnamon Coconut pancakes are Detox-friendly?!? they’re pretty low in carbs and have a decent amount of protein, so they can be part of your detox. See how you feel after eating them. Unless they make you crave more sweets, they can certainly be a nice addition to your breakfast options. OMG, the coconut pancakes are to die for! thanks for the recipes! The cinnamon rolls look great! But what is the Apple Fiber for? I made the pumpkin pancakes and it’s the perfect Fall breakfast. Soooo yummy! Where do you get apple fiber pectin? Any health food store will carry it too. The protein cinnamon rolls are delicious. I made them for my friends who came over for breakfast and they couldn’t believe they were actually good for them. The coconut pancakes made my boyfriend very happy. He had no clue they were actually good for him. Sarah, you may want to add a little bit of baking powder to them to make them rise. It depends sometimes on humidity and your oven too. Fold the egg whites in gently, so they add some fluffiness to the dough. The pumpkin pie pancakes are so delicious that I don’t even feel I’m on a diet. I have had them for the past 3 weekends! Where do I get coconut flour? could I use Psyllium husk in place of the apple pectin? yes you could. i’m not a fan of psyllium husk, however since it can block the intestines in some people if not enough water is consumed and it’s also not as tasty as apple pectin. see how you do with it and then decide. Let the Detox begin: Preethi’s 2nd Day Preethi’s Blog Post "Eating Out During Detox"